Serving: Peterborough, Cambridge, Stamford, Huntingdon and surrounding areas. A2Z transport provides a high quality but cost effective service for people primarily moving within a 50 mile radius of the Cambridgeshire, Lincolnshire and Peterborough areas, although we also provide full house or office relocations UK-wide upon consultation. With over 15 years of experience in removals within these areas, we can offer the benefits of our extensive local knowledge, whilst providing a reliable, dedicated and professional service to our customers. We deliver a one to one service, acknowledging that no two jobs will be the same, and as such we encourage a no obligation discussion about your requirements. From initial enquiry through to unpacking in your new home, you can reply on us to have asked all the right questions about your move so that we can provide the best possible service. What Should I Expect from A House Removals Company? At some point you may decide it is time to move out of your home or office due to one reason or another. And when you do come to this decision, one thing is certain; moving from one place to another brings with it a set of responsibilities. At the very least, it is a hectic job as it needs plenty of time, hard work, and utmost care. Also, it may be somewhat easy when moving within a city but moving from one city to another can be incredibly difficult. Even though you might feel well equipped and capable of carrying out the moving on your own, a reliable house removals company has the resources experience and services required to offer the much-needed help during your relocation. To begin with, you will notice that there are numerous house removal companies and, the choices may well overwhelm you. Not to mention that some man with van companies offer plenty of different services, some of which might not appear clear to you. Nonetheless, what should really matter most to you is finding a company that is competent, professional and reliable. 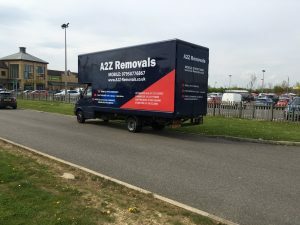 Residents of Peterborough and its surrounding areas need not look any further than A2Z Removals. 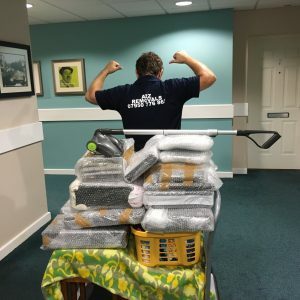 What has set our company apart from other removal firms is much more than our rich experience and cost-effective packaging and house removal services. Expertise – Over the years, we’ve learned how to handle different types of items, from furniture to the most fragile of items. Our team of trained staff understands how to pack the different items properly, whether small or big, and to ensure their safety during transportation. Promptness – We understand the value of time and so, on the agreed day of moving, we make it our goal to arrive earlier than the anticipated time just so that we can take care of everything in the shortest time possible and save you other unnecessary costs. Professionalism – At A2Z, we care deeply about our reputation and for this reason, we have recruited only qualified and competent staffs who know and understand what it takes to make successful house removals. Customer-friendly staff – We understand that respect and customer satisfaction come first and so we’ve made it our goal demonstrate courteousness in the provision of our services. 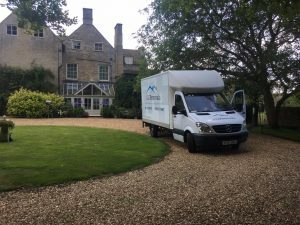 Why Choose a House Removal Company? If you choose the right house removal firm, there will be a lot more to gain as opposed to doing everything all by yourself. In fact, if you’ve never moved before, there’s a high chance that you might commit a lot of mistakes and end up with plenty of regrets later. Expert knowledge needed to make the house removal smooth, easier, and fast. Insurance, meaning your belongings will be safe and subject to replacement if anything goes wrong. Bear in mind that house moving can be a simple and seamless process if you leave it to the right removal company. 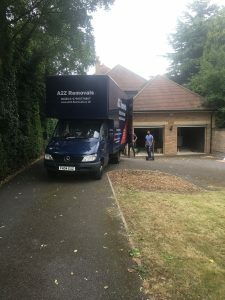 As one of the most reputable removal companies in Peterborough and beyond, A2Z aims to provide clients with the best removal process a the best prices through our experienced and professional removals team. Contact us today for free and impartial advice. Why use a removal company when I can move myself? The correct decision will depend on several factors including money, time, and the difficulties involved. If you’ve never moved before, chances are high you might make costly mistakes. A house removals on the company, on the hand, has among other things, the required expert knowledge for such a task, required insurance policies, specialist storage boxes as well as storage facilities. 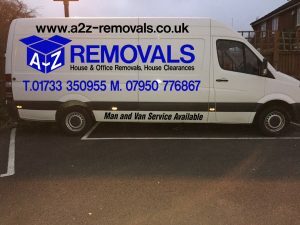 How do I book a move with A2Z Removals? It’s simple. You can fill in your details in our request form or call us on 07950776867. Our friendly local agent will then get in touch and supply you with all the useful information you require. Note that requesting a quote from us doesn’t obligate you to anything. Better still, we’ll be glad to offer a quotation that is tailored to your precise needs. How soon should I make a booking? Usually, we recommend that you contact us about 2-4 weeks prior to the date you intend to move. This will allow for enough time to conduct a pre-move survey and get a precise quotation. How long it takes to move your items will depend on the number of items you intend to move, the distance to be covered, ease of access, and whether you intend to pack and move the items on the same day. At A2Z, we always endeavour to complete the removal in a manner that is timely and safe. Do you offer any Parking Options? Yes, we have in our stock a set of different packing boxes to store your different types of belongings. What’s more, we offer bespoke services, which means apart from the standard removals, we can tailor our removal services to fit your needs. Nonetheless, if you are comfortable with packing your items, that’s absolutely fine. I’d like to move over the weekend. Will you accommodate? At A2Z, we strive to ensure each of our clients has their needs accommodated. So, if you’d love to move over the weekend, we’ll do our best to meet your expectations. We recommend that you get in touch early so as we can have everything done on time. What do I do with stuff I don’t want to move? In the event you have stuff you don’t want to bring along, we can assist you to get rid of it. We can reach an agreement to place them in our storage facilities as you seek out ways to dispose them, whether it’s through selling or as donations. Apart from the standard removal services, we provide completely bespoke services offering you with everything you require to have a comfortable move. Do you have any set rate for specific tasks? Yes, you can have a look at our affordable prices here. We strongly believe that every customer should get nothing but an excellent service while expecting good value for their money. Nobody wants to spend a fortune to move! 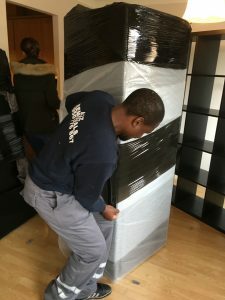 Our home and office removals services can be anything from a standard removals process to a completely bespoke service providing you with the exact needs you require.